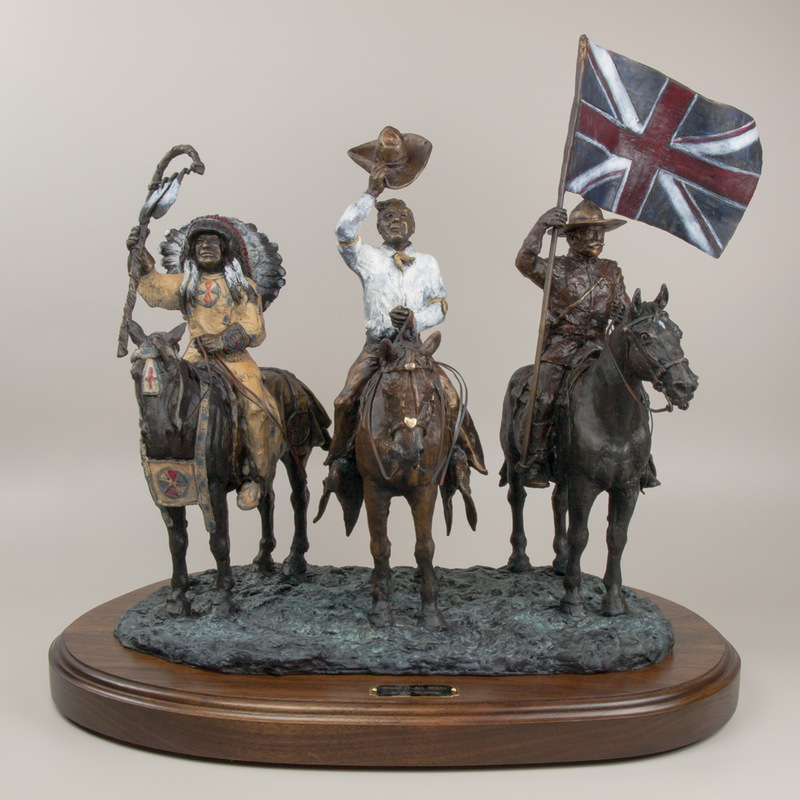 In 2012 the Calgary Stampede in Alberta, Canada celebrated its 100th Anniversary. 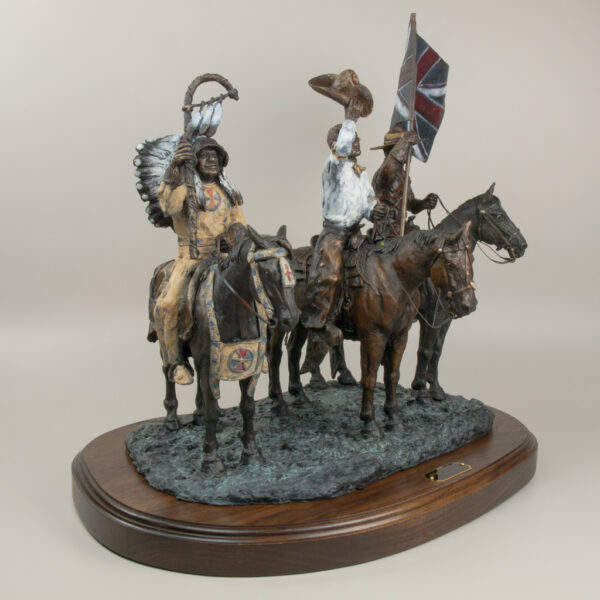 Jay first attended the Stampede in 1965 and ’67 as a calf roper. From 1976 to 2011 he displayed his art at the Western Art Show. 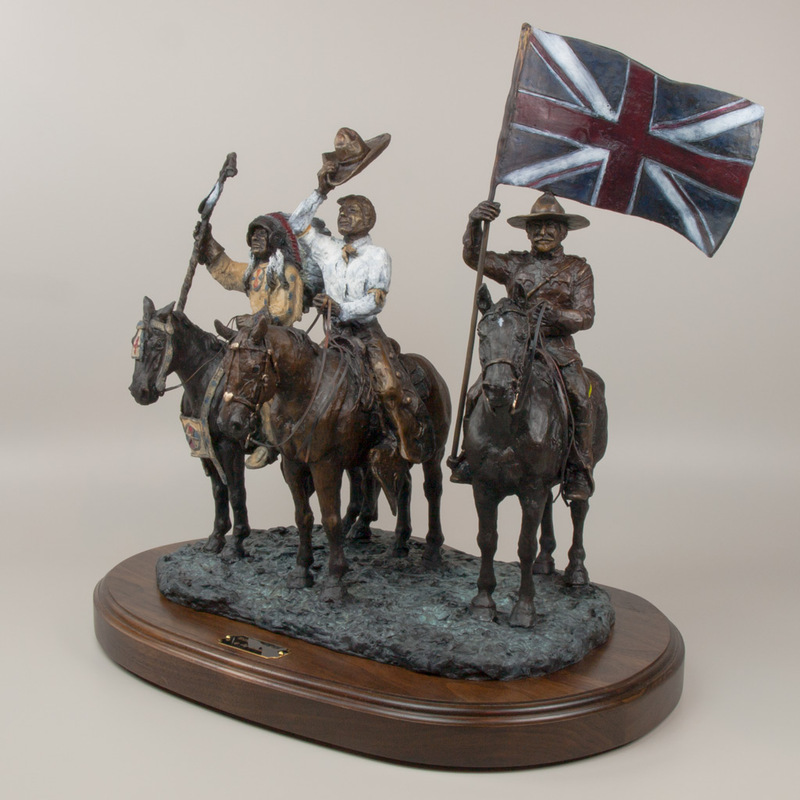 From 1988 to the present he has provided sculpture to the Bronze Program for the Rodeo and the Chuckwagon Races The Calgary Stampede provided a great venue for Jay to display and sell his art. 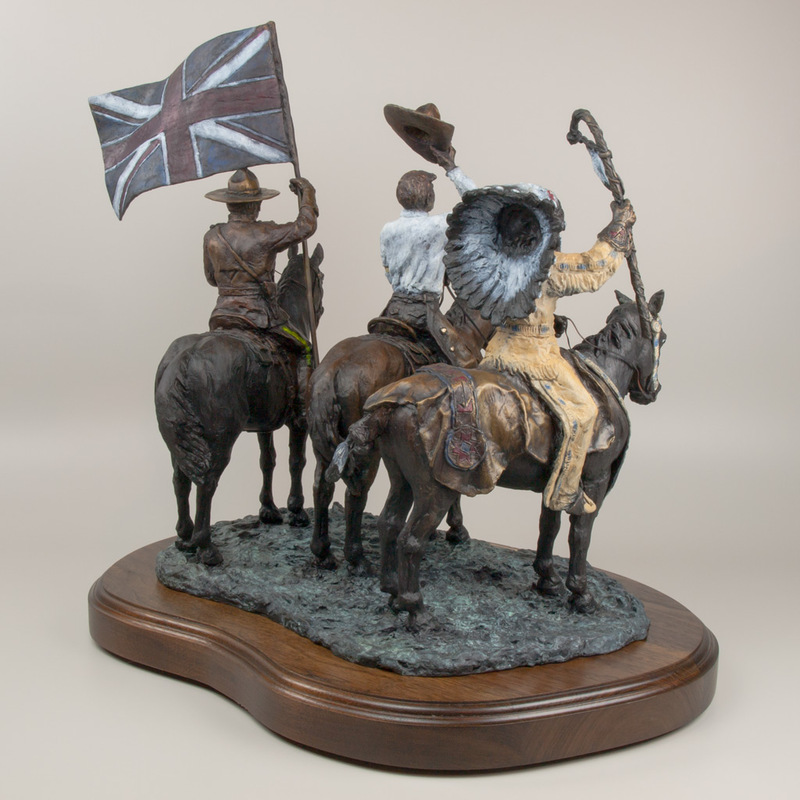 In a salute to the 100th Anniversary of CS, Jay created this sculpture which brings to mind the people who helped to make the first show a success; the Native Americans, the American promoter, Guy Weadick, and the Royal Northwest Mounted Police.